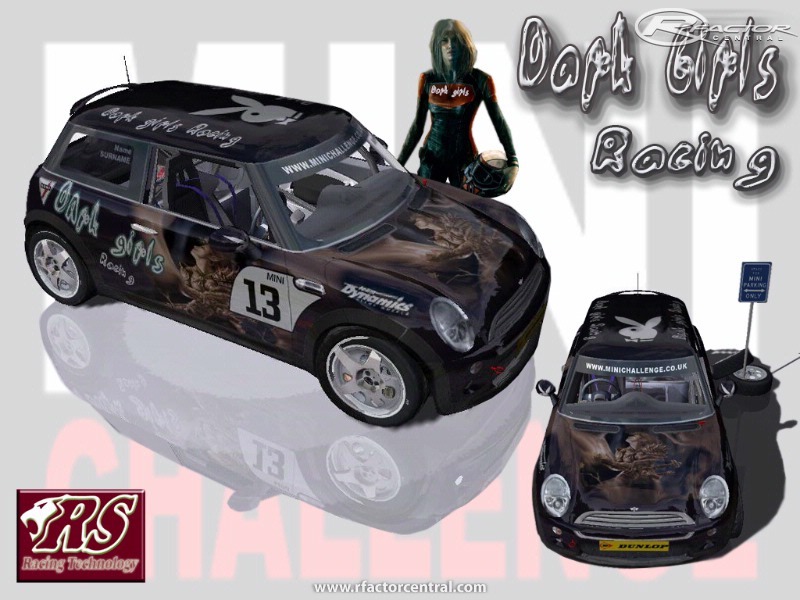 I'm doing this Mod which reproduces the Real UK MINI Challenge 2006 season. 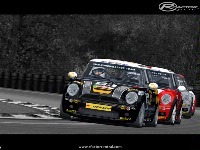 http://www.minichallenge.co.uk. The MINI Cooper Original 3D Model has been created by Jonathan Mace & Stecki. 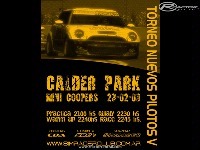 Club Class: 22 Drivers with a 133bhp MINI Works Cooper. 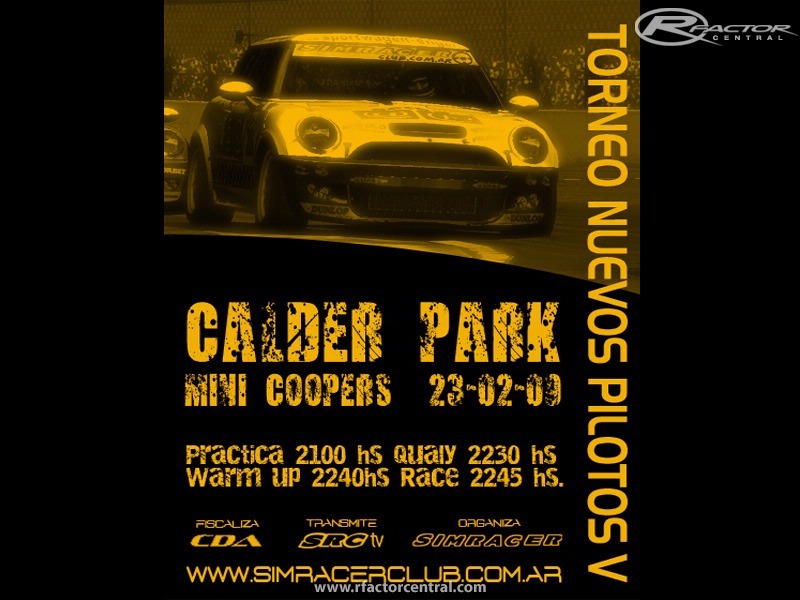 S Class: 19 Drivers with a 210bhp MINI Works Cooper S.
All Cars' skins, helmets* and Drivers' suits* of the 2006 Season have been reproduced :). 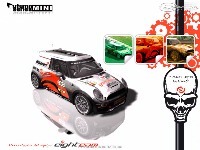 How can I get hold of a blank templete of the BMW MINI? I want to create one to show a future sponsor what it will look like with their logo's on. I have downloaded this mod and would like to know if there is a best way to install it. Does the VehVwr.exe file at the top of the extracted file list install the entire mod or is it just a vehicle viewer. Do I have to extract the entire mod to a temp file and then add the individual files to their appropriate folders? I have had some problems in the past doing this that resulted in unplayable mods. If anyone can help me they could send their replies to george2003@rap.midco.net. Thanks in advance. Can't change gear ratios and there doesn't seem to be an upgrade to purchase that allows me to do that. How many degrees has the steering wheel (lock to lock)? 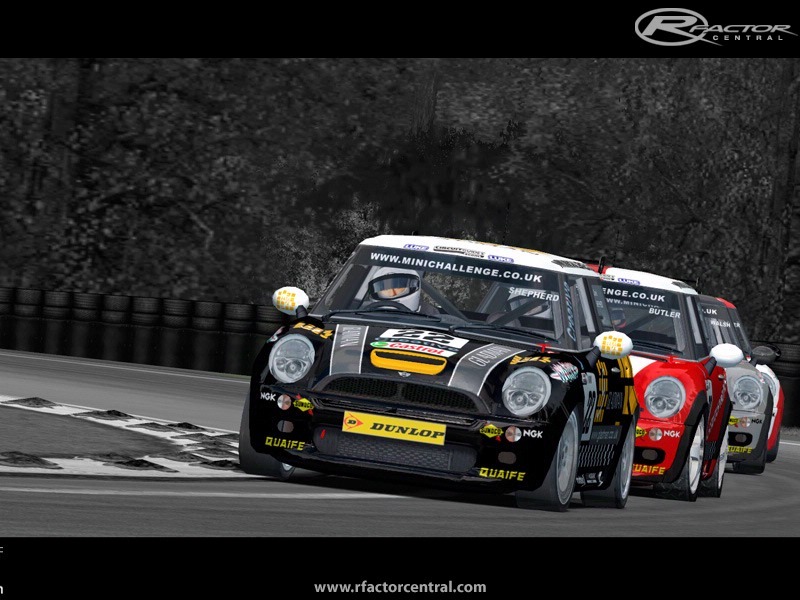 What's the steering ratio? I've got my own car up and running in this mod now and I have to say it's brilliant, this is a really good fun mod, AI are a little too 'dopey' but it's great to drive. Thanks to the mod team that brought this to us. OK brilliant, I've never added stuff that way before! Thanks very much Firewire! Can someone tell me how or where I add my car please? I've made a skin OK but I can't get it show up in the mod.